Join us March 5th and 6th, 2020. 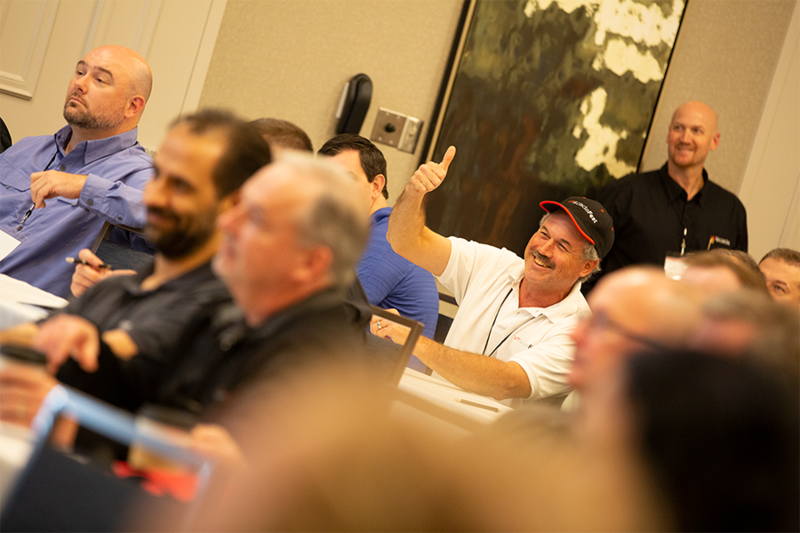 Each year, we invite new and experienced SCADA users to join us to learn the finer points of VTScada software directly from the team who develop and support it. 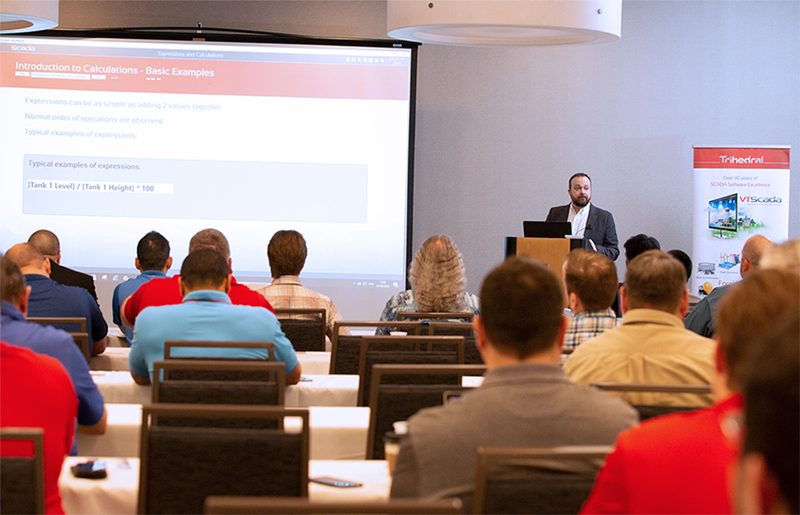 We designed VTScada to be both instantly intuitive and infinitely configurable.This two-day event will include presentations, dedicated support, and networking time to help you learn what you need to get the most from your SCADA application. 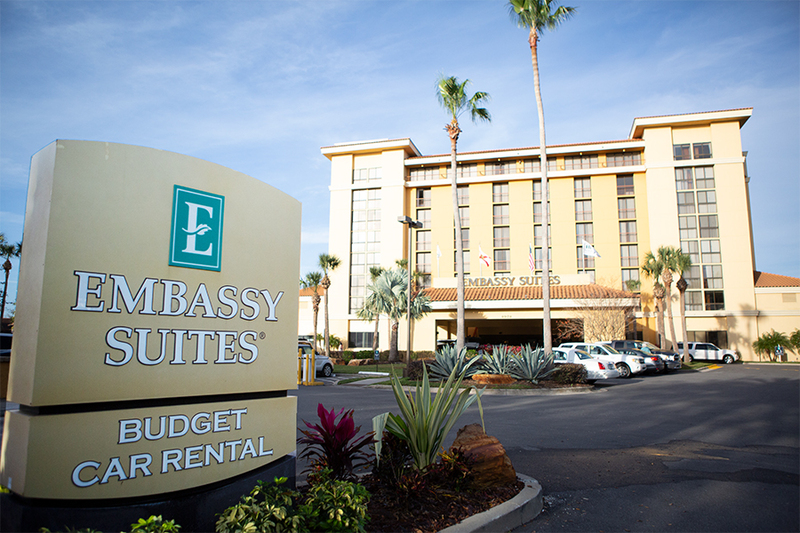 VTScadaFest 2020 will be held at the Rosen Plaza Hotel on International Drive in Orlando Florida. This larger venue will give us space for even more training courses, seminars, and hands-on workshops. 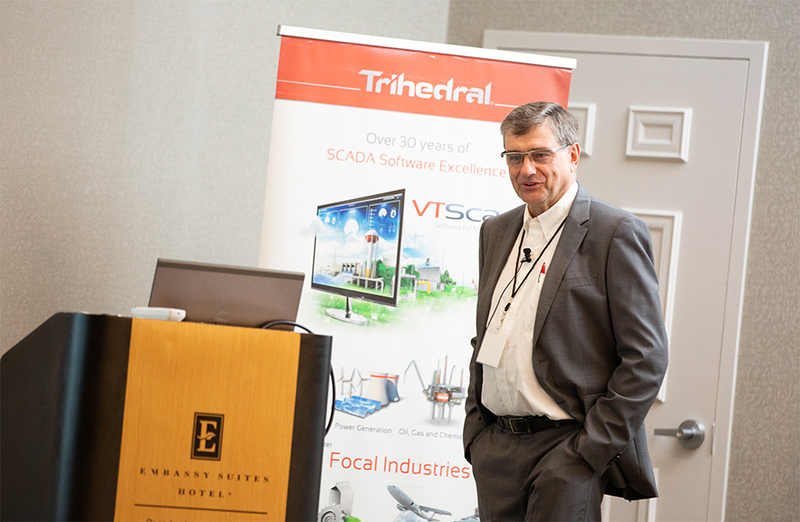 Learn to get the most from VTScada directly from members of our R&D and engineering group. Deep dive into topics like architecture design, IT and security, advanced protocols, integration efficiency, long-term growth, and more. 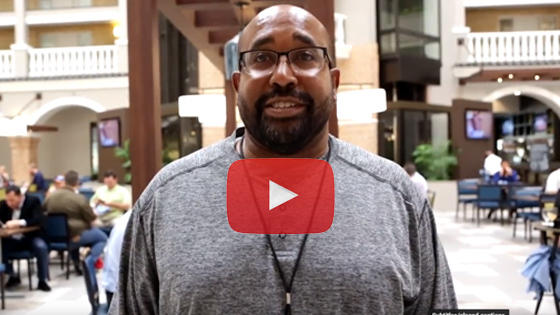 Trihedral President and Chief Software Architect, Glenn Wadden, describes the fundamental principles that make our software different and how our approach is influencing the features being developed for future versions. Consultants and end users describe how they used VTScada to solve their unique monitoring and control challenges in applications ranging from simple single server applications to enormous distributed systems. 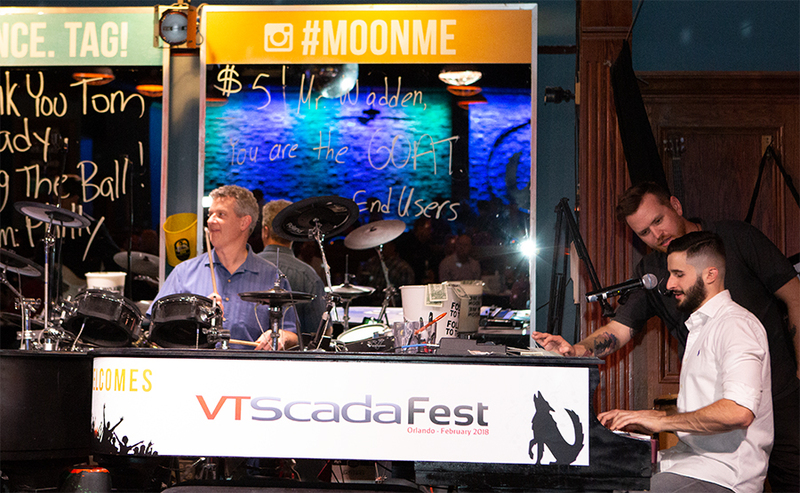 Between sessions, talk one-on-one with VTScada developers and engineers about your specific challenges in an informal setting. This is one of the more popular offerings at VTScadaFest. 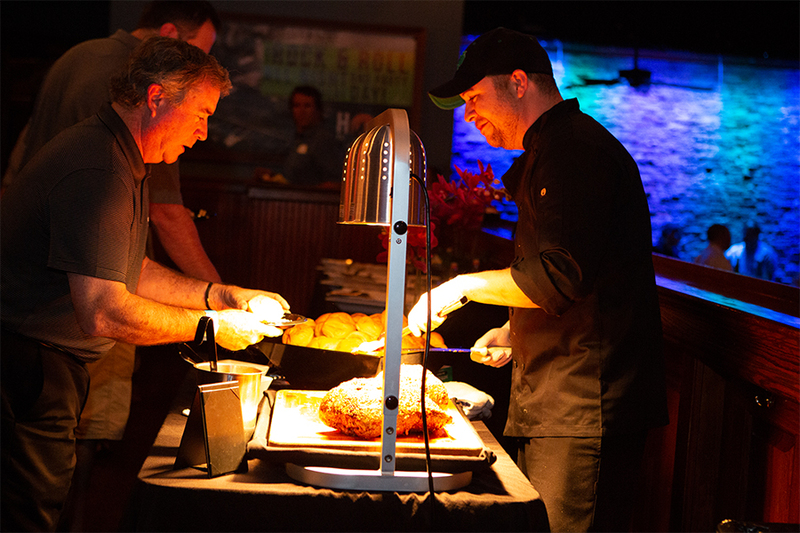 This fully-catered event leaves plenty of time to relax and network with integrators, consultants, and end users from across North America. At the end of day one, join us for an evening of outstanding food and entertainment. 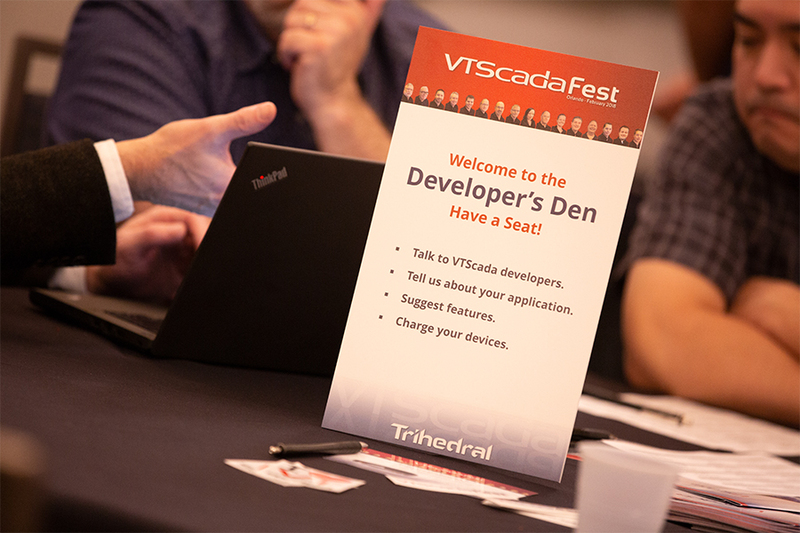 Note: Training seats from Bundle sales and Developer’s Licenses can be used but a VTScadaFest ticket will have to be purchased before registering for training. All-Access Conference Pass for Wednesday and Thursday. Ticket for registrant PLUS one guest at our Wednesday evening networking event with dinner, refreshments, and entertainment provided. Lunch buffet (Wednesday and Thursday). Coffee, beverages, and snacks during breaks. Access to presentations and audio recordings after the conference. Find below the initial list of presentations and workshops. This list will grow and change leading up to the event based on user feedback. See the condensed training courses below that. Top Tips and Tricks	 Everyone Presentation This is a grab bag of lesser known features that can make your life easier. 5 Ways to Recover Quickly When Things Go Wrong Everyone Presentation Get right to the source of your problem so you can fix it yourself or reduce the phone time with our Support team. See examples of actual problems and how we diagnosed them. Situational Awareness Everyone Presentation The concepts of helping operators identify anomalies quickly is the driving force behind situational awareness (a.k.a High Performance Graphics [HPG]). Learn the basic principals, strengths, and weaknesses of HPG. IoT – What’s The Hype All About? Everyone Presentation Go beyond buzzwords to learn about the forces driving IoT and the current state of this evolving technology. How Integrators Are Winning With VTScada Management Presentation Learn how VTScada’s unique features, licensing, training, and support have helped integrators gain an advantage over their competition. See how SupportPlus renewals provide an all new revenue stream. Build One – Deploy Many Developers Presentation Tag templates are a powerful way to supercharge your development cycles without having to perfect the design before production time. Alarm Tools and Best Practices Everyone Presentation Alarms are a critical feature of any SCADA system. Learn best practices that will reduce operator fatigue and optimize productivity. Cyber Security – Networks, Clients, and Clouds Everyone Presentation SCADA security requires careful design and installation. Learn best practices for system architecture. Advanced Expressions and Calculations Developers Presentation Calculations not only do arithmetic on various inputs in real-time, they also control tag parameters and even tag starts or stops. We’ll explore options for handling common situations. Reporting Tools Everyone Presentation Reports can be key to making the most of historical data. Get an overview of the options that VTScada offers and a glimpse of what’s coming. VTScada Certified Solution Provider Program (CSP) Integrators and Consultants Presentation Our CSP program has had tremendous growth over the last 5 years. Join a discussion of upcoming changes intended to benefit new members while rewarding those who have actively promoted VTScada for years. 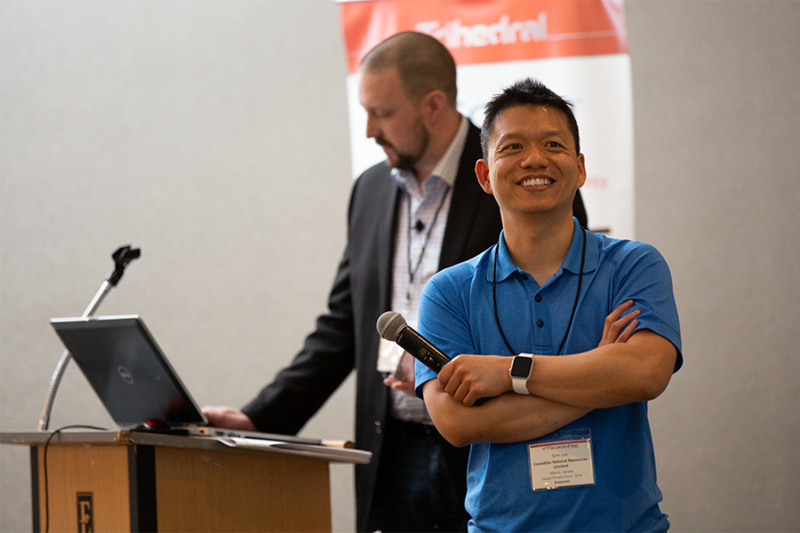 VTScada Case Studies Everyone Presentation Hear real-world success stories from customers in industries that include water and wastewater, oil and gas, and manufacturing. Why Do We Do It Like That? Everyone Presentation VTScada solves problems in ways that are unique in the business. Discover the “whys” behind VTScada concepts that may seem unusual at first glance. SCADA by the Dashboard Light Management Presentation SCADA is not just for operators. Managers need to get key information about operations. Take a look at what kinds of information you can get from VTScada using real-time dashboards showing Key Performance Indicators (KPIs). Alarm Notification Developers Presentation Get an in-depth look at voice and email alarm notifications and all the options available including how to set up notifications via Twilio. Planning Successful Applications New Users Presentation Work through the steps for planning and deploying VTScada applications. Learn the pros and cons of different design choices. Advanced Mapping and Site Templates Developers Workshop How could our popular Slippy Maps and Site Templates be even better? Learn to customize Site Lists, add new Site icons, create custom Site Pages, and select alternate maps tiles. The VTScada Widget Configuration Challenge Developers Workshop Following an introduction to Widget design, participants will race the clock to code a custom object based on pre-defined criteria. Then return in 2020 to defend your title! This Way Here, But That Way Over There Developers Workshop VTScada gives you lots of flexibility to set rules that work one way in this case, but differently in another. Learn about workstation-specific settings, using expressions to control application behavior, and the new 11.3 feature to set control properties for rosters and Alarm DB tags on a case-by-case basis. Sharing VTScada Data With Third-Party Systems Developers Workshop Just because VTScada includes a powerful native historian doesn’t mean we are greedy with your data. See how VTScada uses ODBC to share your process history with third-party systems. Topics will include evaluating your current situation and your options, migration strategies, financial considerations, sustainable technology, security, and planning for the unexpected. Mr. Ubert has 27 years of experience in process control and SCADA in the water and wastewater, pulp and paper, food processing, and Department of Defense industries. His experience includes designing and implementing safe and secure control/communication systems using fiber optics, licensed/unlicensed radio, cellular, satellite, and phone line – as well as programming multiple PLC and HMI platforms. Mr. Ubert has worked at CDM Smith for the past 12+ years, and currently leads the automation and O&M business units as the Tec hnical Strategy Leader. Mike Stoup describes the VTScada features that allowed them to convert existing applications while retaining as much of their value as possible. Topics will include importing legacy historical data, the benefits of dashboards, and scraping data from the USGS website. Mike oversees a department of 18 Electrical and Controls engineers, designers, programmers, and technical specialists. His 25-year career includes the design, implementation and management of SCADA systems, and process instrumentation and controls projects in the industrial and municipal marketplace. Mike is a graduate of the University of South Florida with a degree in electrical engineering. McKim & Creed is an employee-owned firm that has more than 400 staff members in offices throughout the U.S.
Sam Black, Project Engineer; Mike Brandenburg, Project Engineer, Electric Machine Control, Inc.
Sam and Mike will discuss conversions to VTScada using the new Historian Import Tool introduced in Version 11.3. They will show real-world conversion examples for iFix and Wonderware. Electric Machine Control, Inc. is an industrial systems integrator and solutions provider specializing in drives and control systems in pulp and paper, metals, water/wastewater, material handling, and general industrial applications. Our experience includes thirty plus years in engineering, specifying, designing, programming, software development, manufacturing, and integrating numerous process control automation projects. These projects include everything from simple control panels, to stand-alone drive panels, to operator control desks, to HMI interfaces, to PLC automation, to custom communication drivers, to precision high speed coordinated drive and control systems.